The Samsung MS23F301TAS solo microwave 23L in silver has a 23L capacity. This Samsung solo microwave features an eco setting; this consumes significantly less standby power, helping to save you money on energy bills. The Samsung microwave has a ceramic enamel interior; it is easy to clean, anti-bacterial, durable and won’t scratch or crack. Easy tronic controls make the microwave easy to operate. 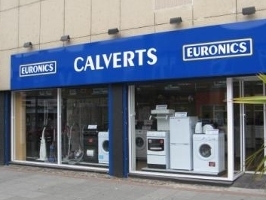 This Samsung microwave is an Euronics agency model.